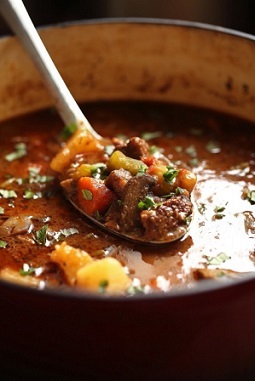 This Beef Stew Recipe or ...Beef Bourguignon: A fun way of saying French Stew or ...Burgundy Stew. Actually, I am not French. I am an American “country girl". Here is a recipe to appreciate. At the restaurant this recipe is served with lots of crusty bread or buttermilk biscuits. Some customers who order this for dinner also enjoy a glass of good Merlot or Cabernet Sauvignon wine. 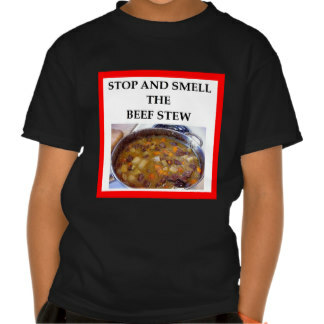 I also sometimes like to add peas to the stew. Here is one option for you to think about with this beef stew restaurant recipe: Omit potatoes and serve over (or with) pasta or rice or mashed potatoes. 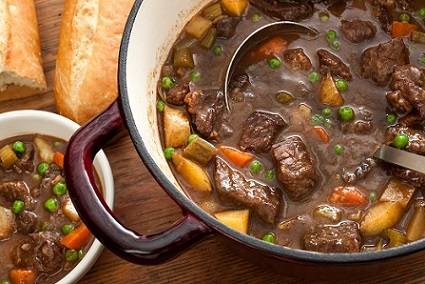 Like this beef stew restaurant recipe? Of course you’ll love it after you try it. So will your family and friends. 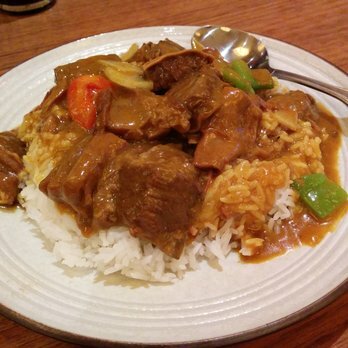 The fact is, beef stew is considered a comfort food by many people. It is delicious and makes you feel good. Thank you for “dropping by.” ENJOY your stew recipe (Beef Bourguignon :-) ) and all the restaurant recipes and the company of those you share them with!